The Discovery Science Center in Santa Ana, California has a full size replica of the Mars Curiosity rover on display through Labor Day Weekend. The exhibition is included in the Science Center’s price of admission. On Display Now through Labor Day! SANTA ANA, CA – August 7, 2012 – Discovery Science Center (DSC), Orange County’s leading destination for hands-on science fun, is now currently displaying a full-size replica of the Mars Curiosity rover. The rover, which just successfully landed on Mars, Monday morning at 1:32 a.m. EDT, is a 2,000 pound, car-size robotic roving laboratory. Built by the NASA and Jet Propulsion Lab (JPL) team, Curiosity’s landing marks the start of a two-year mission to investigate whether the Martian landscape offers an environment favorable for microbial life. The $2.5 billion project made its way onto the Martian terrain using a sky crane and the world’s largest supersonic parachute. The one-ton rover makes history as the largest and most sophisticated mobile laboratory ever launched to another planet. Curiosity will be used to determine whether Mars could ever have supported life, study the climate and geology of the planet, and plan for possible human missions to Mars. Young budding scientists can get a closer look at the Curiosity Mars rover by visiting DSC’s full-scale replica. The exhibit is on display through Labor Day and features four sections exploring the rover and its mission on Mars. View the sophisticated science instruments that Curiosity is equipped with, such as the Chemical Analyzer Spectrometer that identifies Martian minerals. This instrument tells scientists what environmental conditions existed when the mineral groups were originally formed. Discover what scientists currently know about the “red” planet: how it differs from Earth, its surface features, polar ice caps and canyons. What type of soil will Curiosity be driving over? 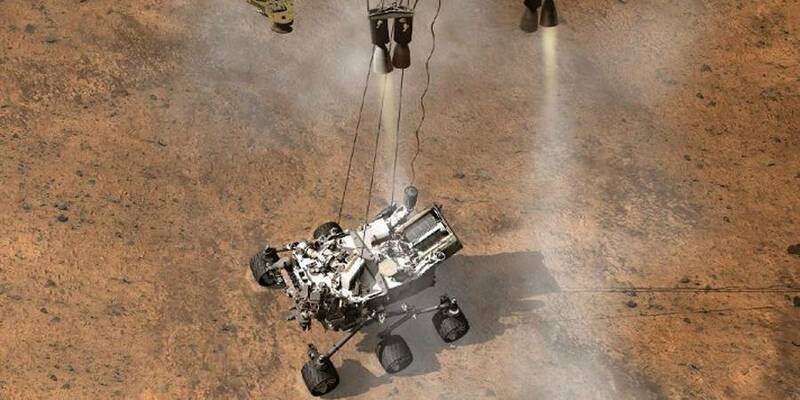 Learn what NASA’s landing plans were for Curiosity and what its job is once on Martian soil. Guests become the explorer by taking a closer look at different rock samples from Mars. Look through the large magnifying glass and compare samples while taking note of what the scientists have taught you. The Mars Curiosity rover replica is now currently on display at Discovery Science Center through Labor Day Weekend. The exhibition is included in the Science Center’s price of admission. For complete schedule and ticket information, visit Discovery Science Center’s website at www.discoverycube.org or call (714) 542-2823. Imaginations run wild with 120 hands-on exhibits at Discovery Science Center (DSC), Orange County’s leading destination for hands-on science entertainment. Take the Eco Challenge and become a green superhero, feel the power of a real rocket engine launch and explore the inner workings of a two-story tall dinosaur! Plus, the Science Center’s signature events don’t just foster science education, but also provide entertainment for the whole family. 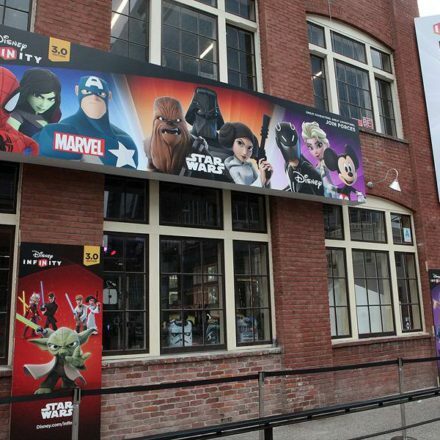 From our annual Bubblefest and Rocket Launch to blockbuster traveling exhibits such as Star Wars™: Where Science Meets Imagination, there is always some new to experience. 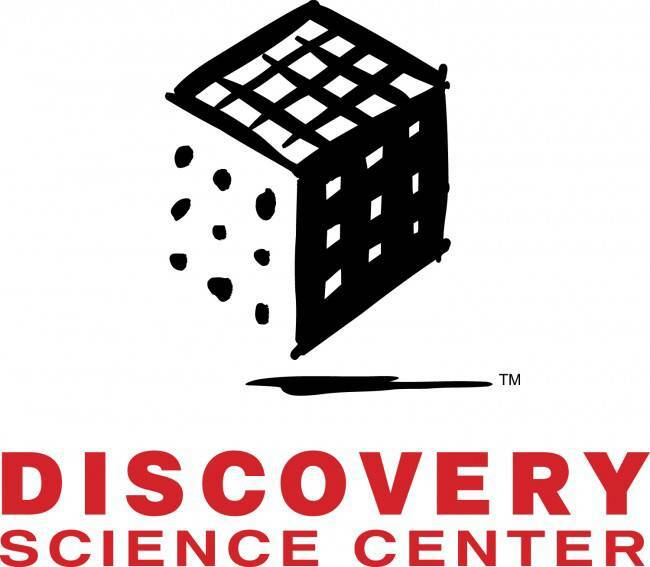 DSC is a non-profit organization dedicated to educating young minds, assisting teachers and increasing public understanding of science, math and technology through interactive exhibits and programs. It is a community-wide resource where families come together to learn and have fun and school districts can use as an educational resource. For further information, visit www.discoverycube.org or call (714) 542-2823.